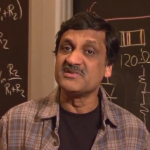 Professor Anant Agarwal in his classroom at MIT. In an intro to his course MIT 6.002X, he states: "This course will help you make the transition from physics to electrical engineering." It's the same course taken by MIT students as the first course in an electrical engineering or electrical engineering and computer science major. [divider] Last year, 110,000 students enrolled in the MIT course ‘6.002x Circuits and Electronics’ taught by Professor Anant Agarwal. The course was free, and anyone anywhere in the world could enroll. A few months earlier, Dr. Agarwal, Professor of Electrical Engineering and Computer Science and an Elsevier author, had contacted the Elsevier Books department with an interesting idea. He planned to launch a free online course on a platform called MITx, and he wanted permission to upload his 2005 book Foundations of Analog and Digital Electronic Circuits, published by Elsevier, in its entirety for the students to use. 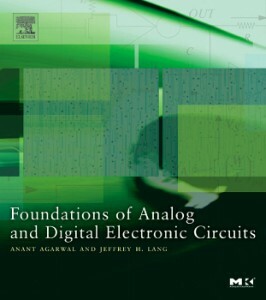 Elsevier colleagues discussed the matter with Dr. Agarwal, and in March 2012, all students in 6.002x Circuits and Electronics received not only free access to his course materials but a free view-only version of Dr. Agarwal’s book. Are MOOCs sustainable and high-quality? According to a recent Outsell report, 3.17 million students have taken a Massive Open Online Course (MOOC) and that number may expand to 6 million by 2015. Students in 196 countries have already taken a MOOC. But are MOOCs in the long run detrimental to students and universities? Will they harm authors and publishers by giving away free knowledge? Two trends are lending themselves to sustainable courses. First, MOOCs may give students actual course credit. The New York Times recently reported that California, concerned by oversubscribed courses at its public universities, is introducing legislation into the California Senate to require these same universities to offer credit for online courses, as long as faculty have approved them. Last fall, San Jose State University used Dr. Agarwal’s previously mentioned 6.002x Circuits and Electronics course in this manner, and it generated a better pass rate. The course is being rolled out to 11 other California State university campuses. The time spent on campus with instructors (i.e., what tuition pays for) is focused on interaction, discussion, problem-solving and group-work — but is entwined with the MOOC, which is mainly done as homework. We’ve seen that institutions are keen to partner with MOOC providers. In the long term, MOOCs could attract students to attend universities that they otherwise may not have applied to. Also, professors who teach MOOCs get 10 times more feedback and grading statistics than they normally would. 1. MOOC providers, such as edX, Coursera and Udacity, who provide the platform and infrastructure for the courses, and whose brands dominate the view of this educational movement. 2. Institutions and faculty, who devise the courses and choose content (from myriad places) to include in the course. 3. Content creators and publishers, whose content can get selected for inclusion in courses. A nonprofit MOOC provider like edX receives funding from its founding institutions, MIT and Harvard, but the Chronicle of Higher Education and Harvard Magazine recently reported that edX is being tasked to become self-sustaining and is also developing a plan to share revenue with its partner institutions. Coursera and Udacity are already commercial companies, though some are concerned that the privatization of educational resources will be detrimental to learning. For institutions and MOOC providers, via methods like blended learning, tuition-paying on-campus students could offset the costs of MOOCs. And even the off-campus students may end up paying for proctoring or accreditation services, as mentioned above. As for publishers, we’ve seen that MOOCs could potentially increase sales. The course 6.002x Circuits and Electronics provided a link to purchase a print copy of the book at a 25 percent discount, or a 40 percent discount for the print and full digital version package. Despite the book being freely available on the platform, actual sales of the print book increased. However, appropriate research and execution is essential to the sustainability of using published content for MOOCs. The Outsell report, mentioned earlier, recommends that publishers work closely with MOOC providers and that commercial opportunities abound. However, there are some complexities involved. A recent study showed that university presidents are skeptical about the educational value of MOOCs. Not only are they skeptical that students are improving learning, they are concerned about its costs. And as we mentioned before, as MOOCs providers enter this new space, it remains to be seen how the commercial aspect will unfold. Some are concerned that these platforms are more interested in monetizing than providing high-quality educational resources. And there are other issues. For example, some authors may not want to risk offering their work for free. Legally, there are also ambiguous situations where faculty own intellectual property rights for their materials but institutions are the ones partnering with MOOCs providers. Who should be signing the deal? A very well-known example of Open Educational Resources is from MIT and their OpenCourseWare site, a “web-based publication of virtually all MIT course content.” Elsevier has had a relationship with MIT OCW since March 2008, when Elsevier made available figures and text selections from any of its more than 2,000 journal titles for use on MIT OCW. Publishers have many opportunities, experiments and learning curves ahead related to MOOCs and Open Educational Resources (OER). However, it is clear that there is no need to adopt a defensive posture but to continue the work that has already begun. Elsevier plans to test out new ways to deliver information via MOOCs and OERs in a sustainable way, and to learn how and where we can add value. We will be watching MOOCs and OER closely and continuing to partner with organizations and institutions to best move forward with these developments. 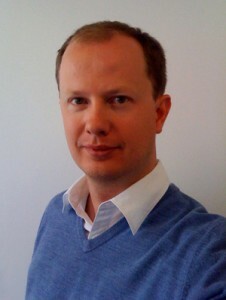 Dan Morgan is a Senior Manager of Elsevier’s Universal Access Strategy department, with a focus on North America. His role is to help drive Elsevier's goal of developing sustainable universal access (including all types of open access), by working with funding bodies, government agencies, academic institutions and all potential partners. He also supports key access initiatives (such as patient and caregiver access) to ensure an up-to-date, consistent approach to strategy, implementation and communication. He has worked at Elsevier for almost 12 years, first in Oxford and now in San Diego, California. He was most recently head of the Psychology and Cognitive Science journals group as Executive Publisher. He received his BA from St. Catherine’s College, University of Oxford, in English language and literature. I am a normal university student and I want to know weather there are any mooc courses for primary and secondary schools abroad currently and hope to get some links to the resources. A great question. It is true that many of MOOC providers and courses focus on Higher Education, but I am aware of at least these 2 resources/providers that showcase courses geared at younger students (i.e. primary, secondary school level).